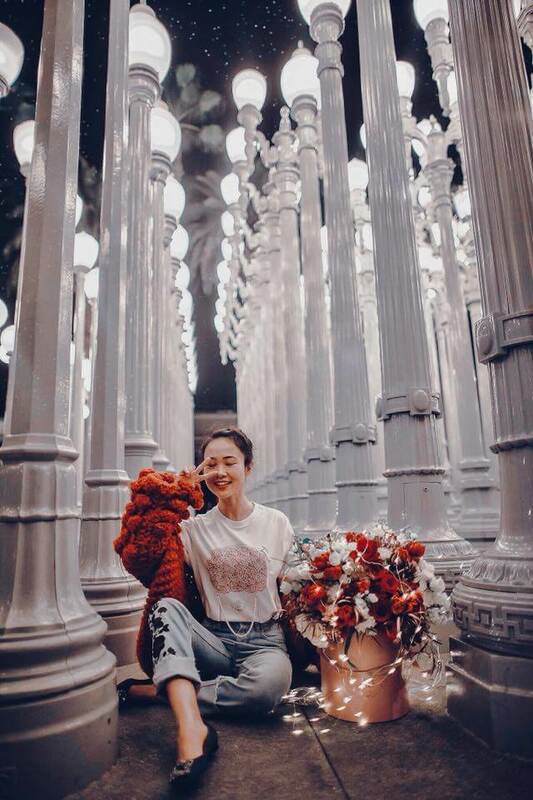 Valentine’s Day is coming up and you’re still probably in search of a gift for your lovely LA lady! It’s the most romantic time of the year and is a big deal for most women. Guys are generally not good at planning or picking gifts. 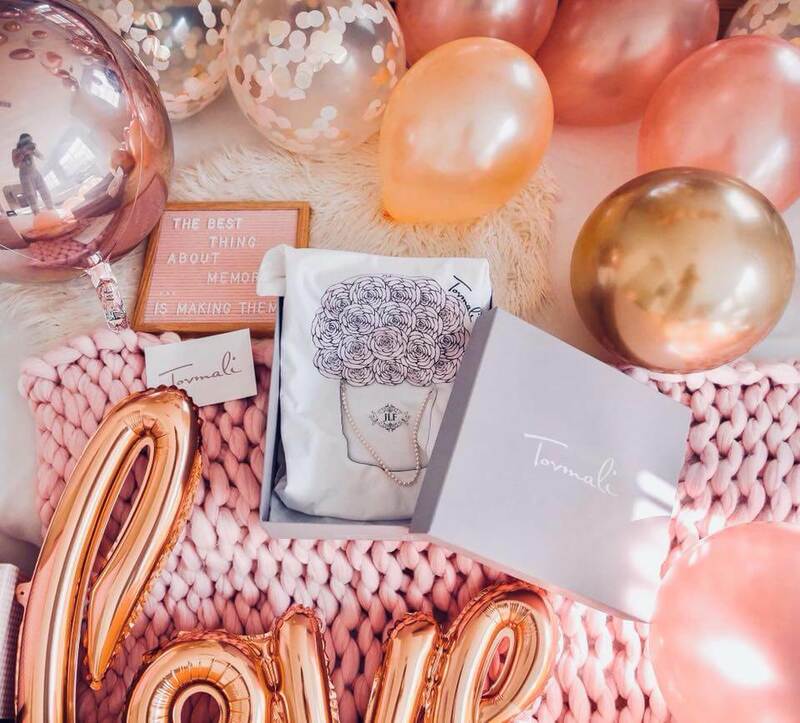 The quest for the perfect gift or well planned Valentine’s Day can be stressful so in this blog I’ve got you covered with a guide to the 10 best unique Valentine’s gift ideas for her. This list is designed to help you avoid the generic and cliché gifts for your sweetheart. Hopefully these ideas can kickstart your efforts. Planning an extraordinary experience- Balloon avalanche! Sometimes a present alone isn’t enough. Why not go the extra mile and plan something out of the ordinary? Balloons are synonymous with celebrations and an inexpensive way to make everything look festive! 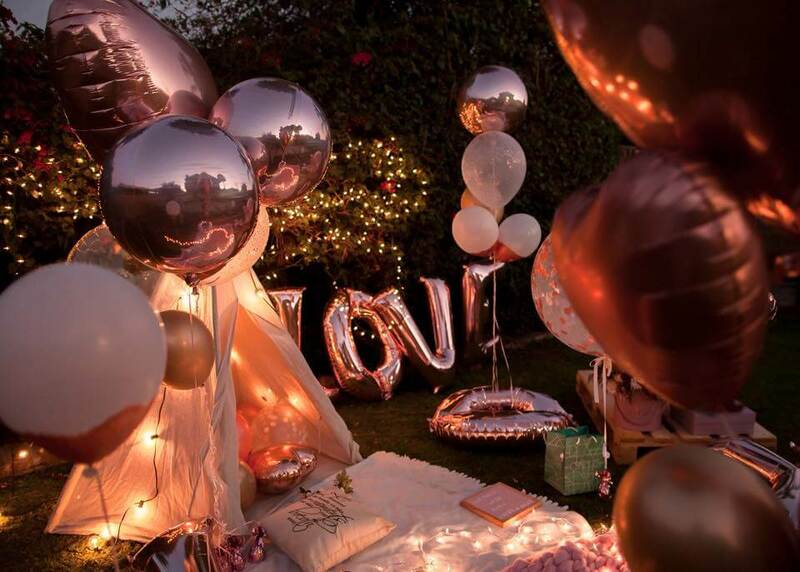 Surprise your girl with an avalanche of balloons on her return home from work. As soon as she opens the front door she’ll be instantly greeted by an array of colors! 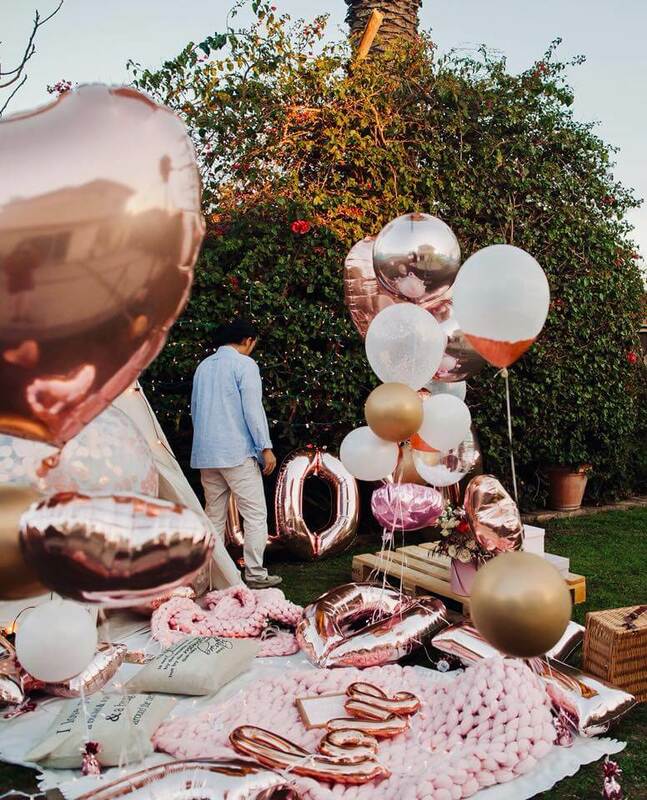 And Belle Âme Balloons, headquartered in Los Angeles, offer beautiful and unique custom balloon arrangements. 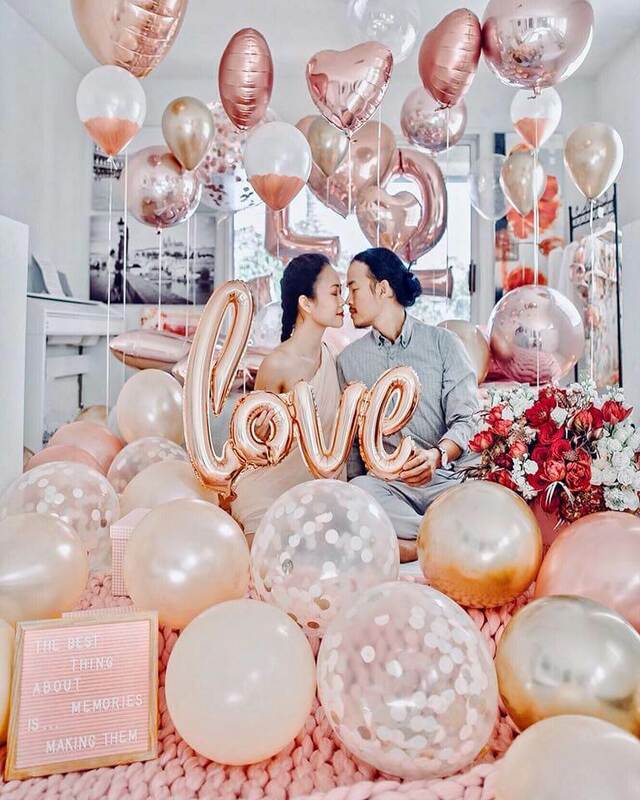 They provide high-quality stylish and artistic balloon arrangements for a variety of occasions such as birthdays, weddings, corporate events, parties, and more. 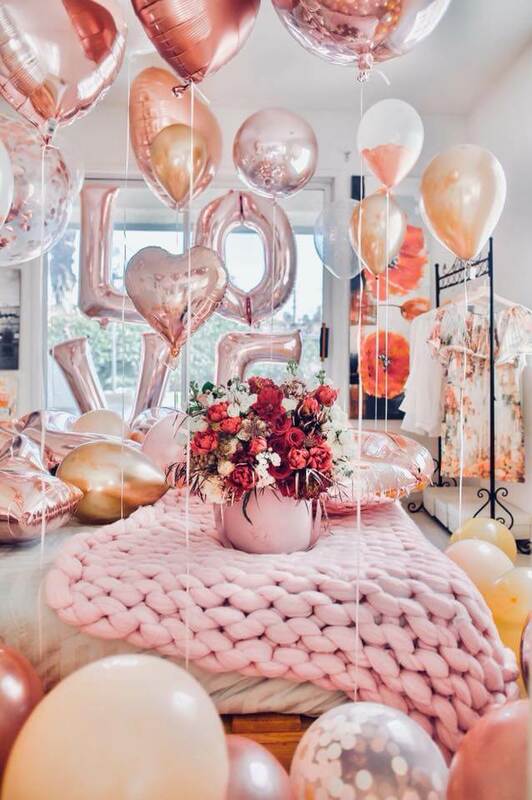 For my pre Valentine photoshoot Belle Âme Balloons’s owner, Araks Terteryan, personally came to my house and set up everything! She is such an inspiring and talented young lady! 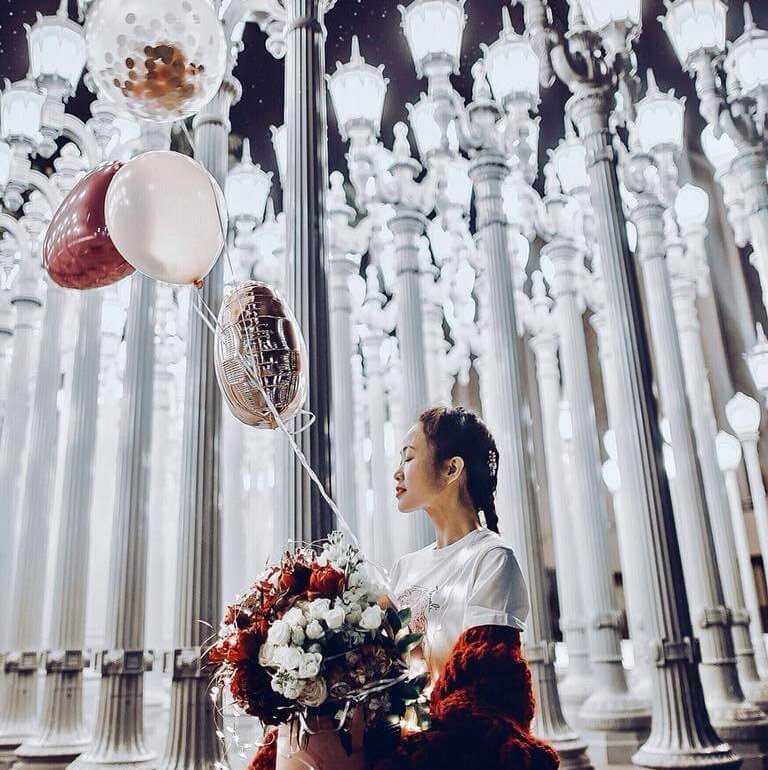 Her creative balloon arrangement is truly an amazing work of art! 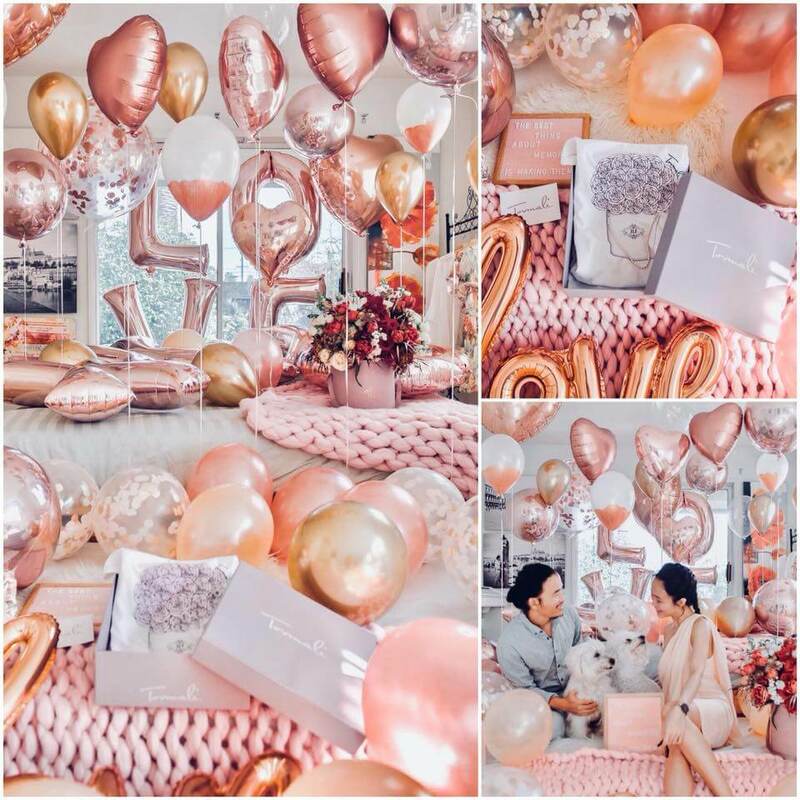 Our Valentine color theme was rose gold/peach so Araks exclusively designed for our event a beautiful array of hand painted, confetti, heart-shaped, and feathered balloons! The name Belle Âme means beautiful soul in French. The balloons designed by Araks are truly filled with love and joy when they are made. 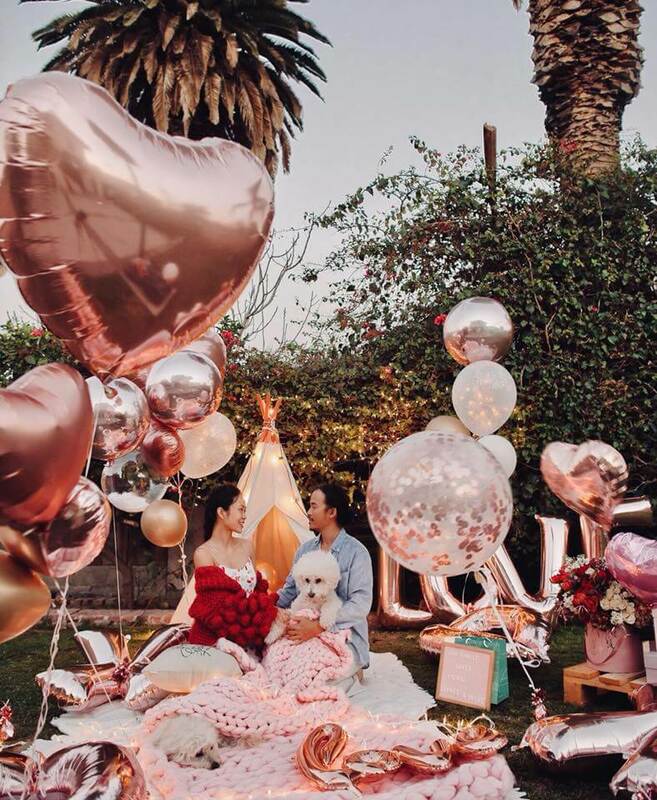 They add an elegant and whimsical touch to my Valentine celebration! Pay attention to the little things! A letter is something you can work on for about 30 minutes a day in the week leading to V-day! Or you can convey your feelings towards her with much more ease by sinking beautiful letters into the velvety surface of the Memo Board by Felt Like Sharing. 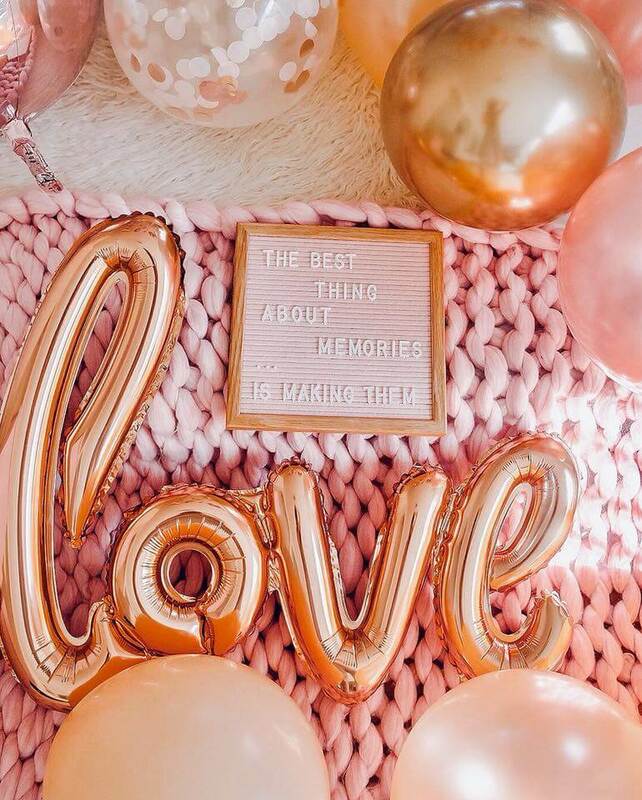 I have seen so many beautiful felt letter boards by Felt Like Sharing on Instagram and I was thrilled that this Valentine I had the chance to incorporate their soft pink memo board in my photoshoot! Felt Like Sharing letter boards are offered in variety of colors and sizes. Each board comes with a set of letters, punctuation marks, and even popular symbols. You’ll be able to convey your wit, inspirational thoughts, day-to-day life happenings, and much more with ease. 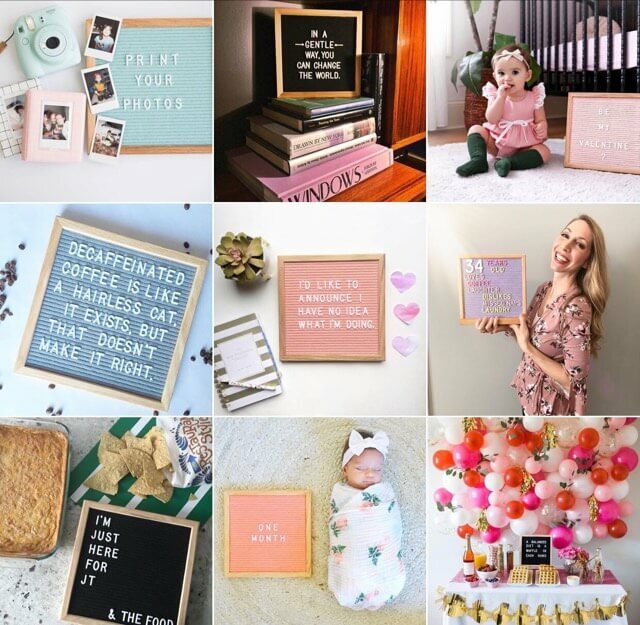 Their boards can be used as a canvas for dinner menus, favorite quotes, family mantras, inspirational words & scriptures, photo props, a child’s milestone, creative announcements, and much more! “Flowers for V-Day” sounds such a cliche, but I’m not talking about any regular flower arrangements that you can pick up at a local florist or by searching on 1-800-Flowers website! 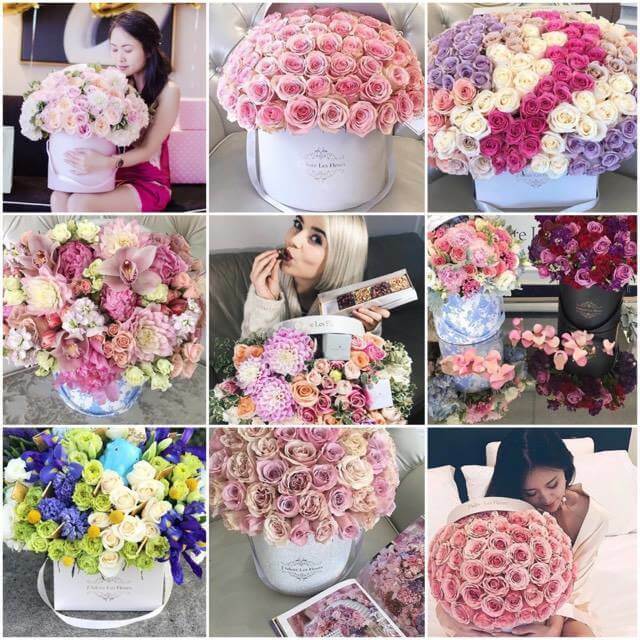 You can poke on around her social media apps like Pinterest or Instagram, you would know that ladies nowadays are crazy about unique bouquets ranging from everlasting roses in a glass box to luxurious flowers packaged in Parisian-style gift boxes. 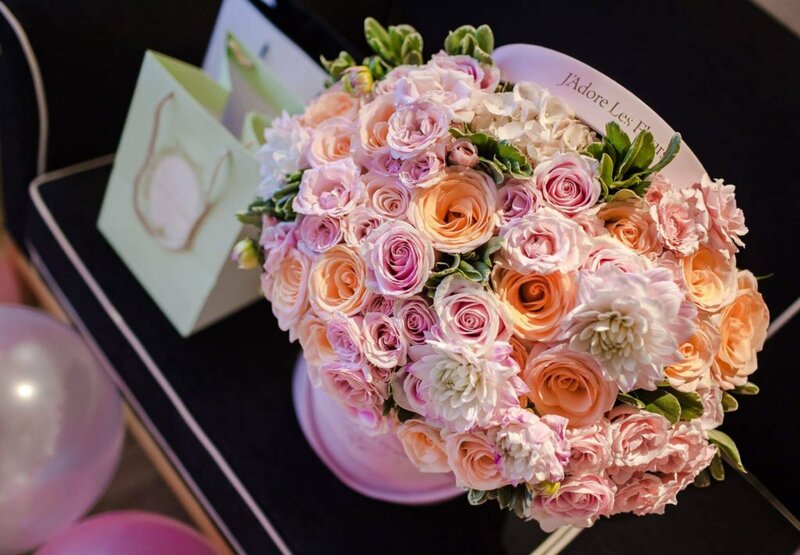 These are not just simple flower arrangements, but rather elegant works of arts that will immediately impress your girl and might even bring her to tears! Valentine is when you need to locate some good chocolate! 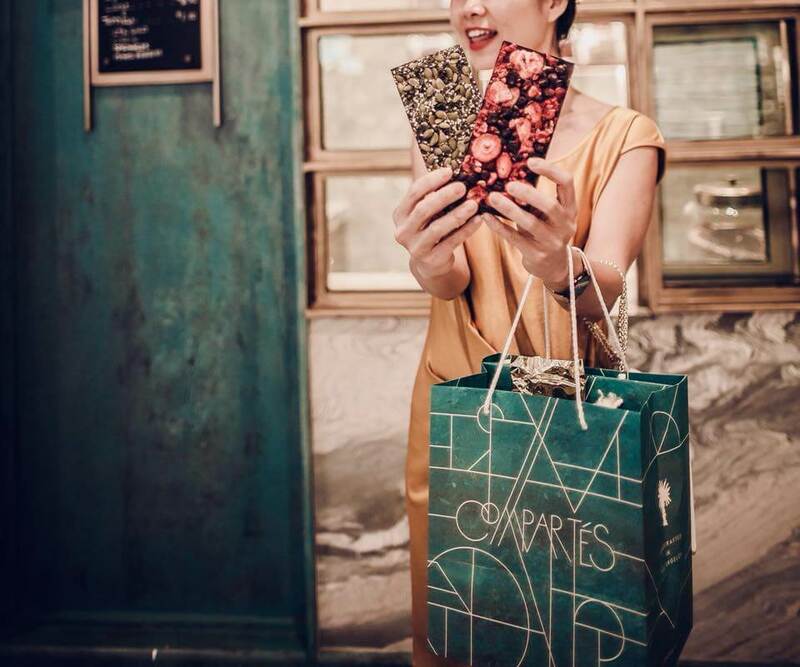 Compartés chocolate shop, based in Los Angeles, California, has some of the most unique candy creations around. It is a family run business that has been creating chocolate since 1950. The gourmet chocolates are hand made from scratch daily and packaged to perfection to respect their philosophy of artisanal, high quality and beautiful chocolate. 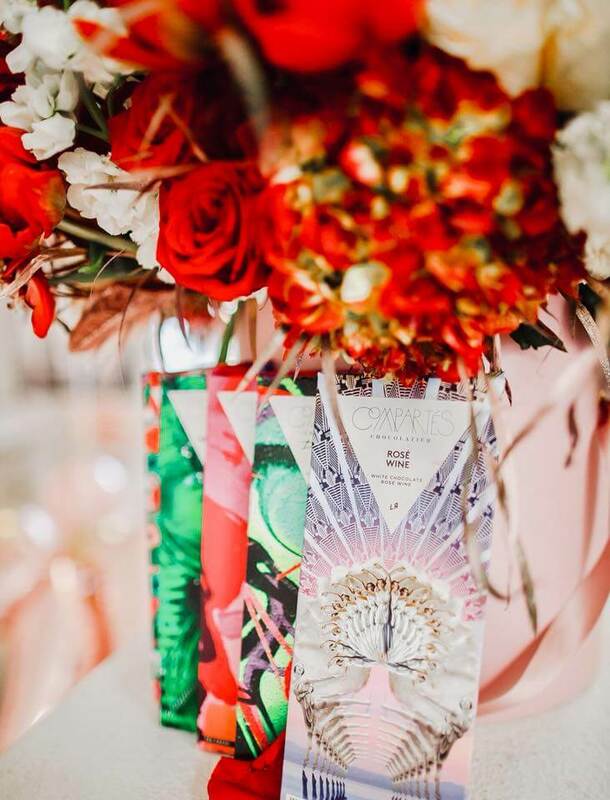 They praise themselves to use only the world best chocolate sourced in South America, and they work with local Californian farmers to get the freshest fruits, spices and nuts. 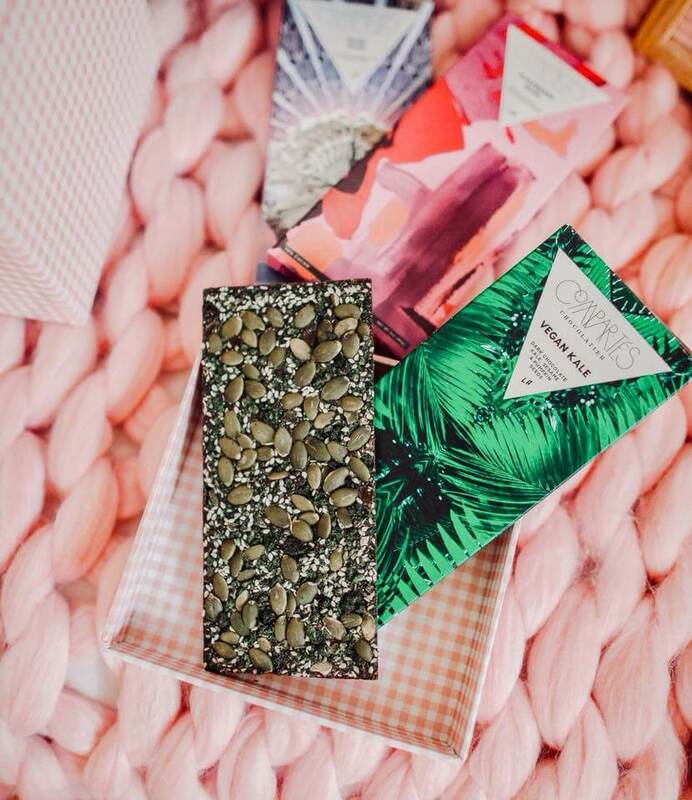 In addition to their unique flavors, they also have intricately designed packaging that makes the chocolate pop before you‘ve even unwrapped the bar. 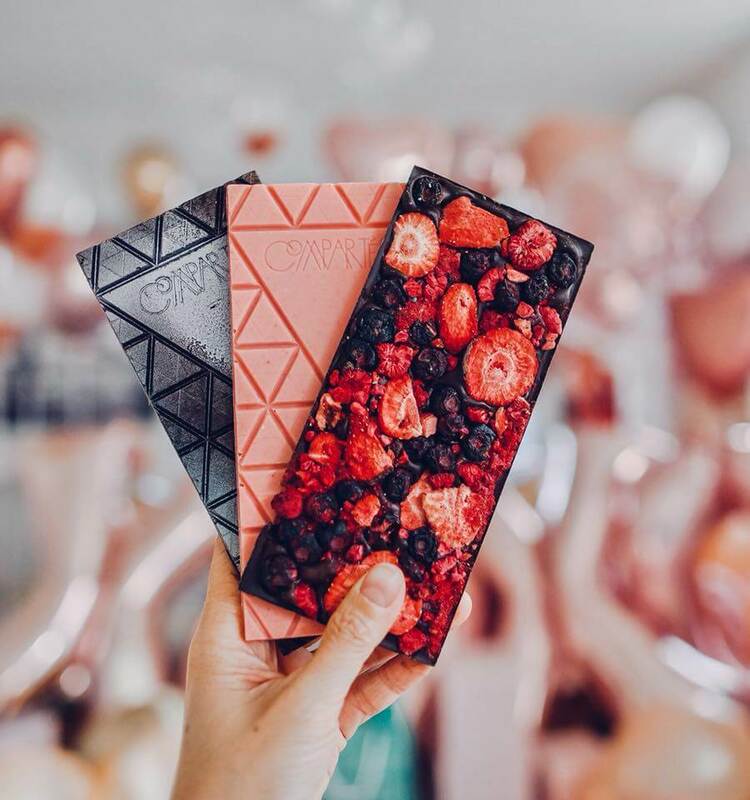 Needless to say, the chocolate bars are visually stunning and absolutely unique! I’d been stalking Mum’s Handmade since I saw their beautiful knit sweaters on Instagram. These sweaters were made for the gram! They are oversized, cozy, endlessly chic, and luxurious. 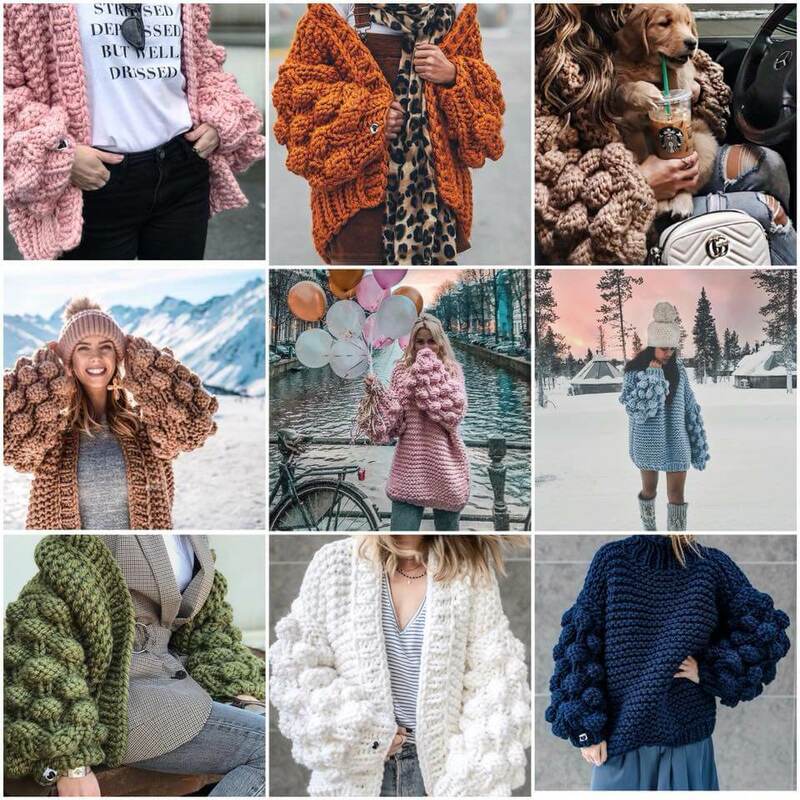 What sets these cardigans apart (besides their cute pom pom sleeves) is that the products are 100% hand knitted and made to order, ensuring quality, and the designs are unique!I t took a few weeks to get mine because they are all made to order then shipped internationally, but the wait was more than worth it! People literally stopped me several times in the street to ask about this sweater and if I had knit it. A lot of people could easily tell it was handmade. 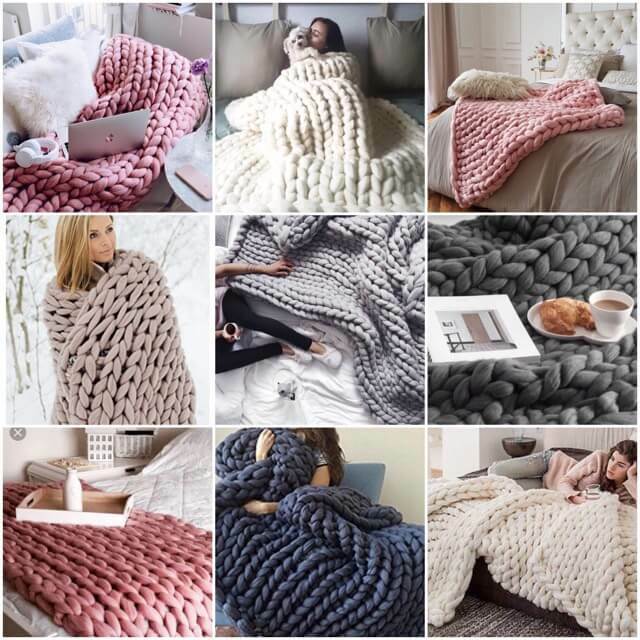 The giant knitting trend is in full swing, which means you can bet that these plush, oversized and ridiculously cozy creations will be everyone’s must-have item once the weather turns crisp. 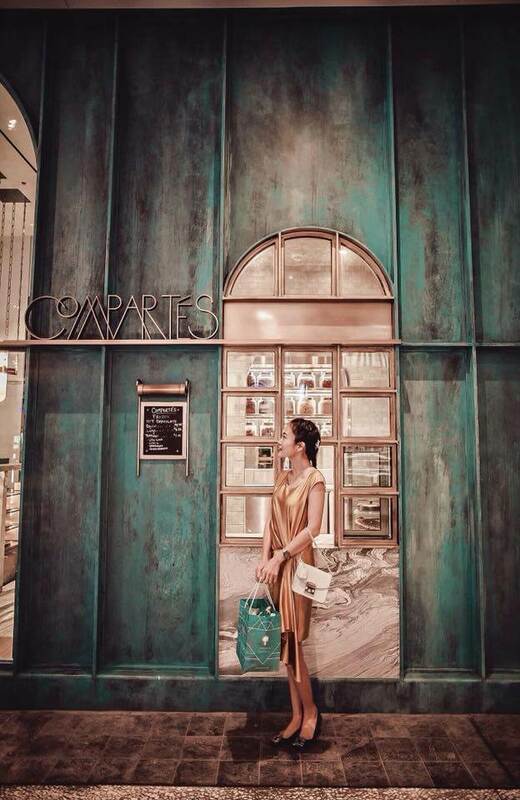 Or you can never go wrong with Ladurée macarons! The prestigious macaron-makers first came to life more than 150 years ago in Paris – currently operates domestic locations in New York City and Miami- has recently just opened their newest store in The Grove, Los Angeles. 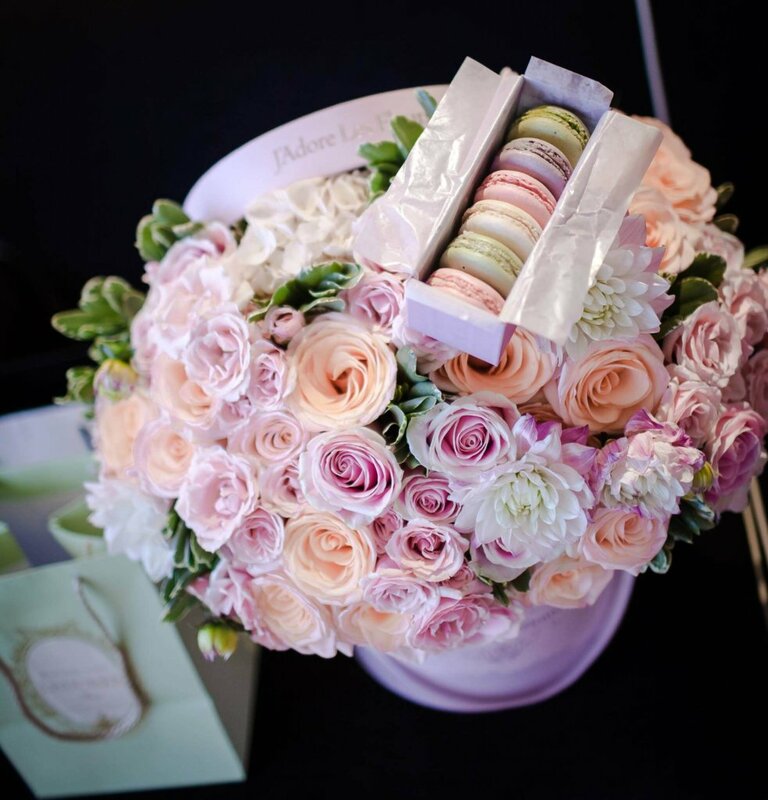 A combo of Ladurée macarons and a Parisian-styled flower box from J’Adore Les Fleurs will definitely impress your lady! 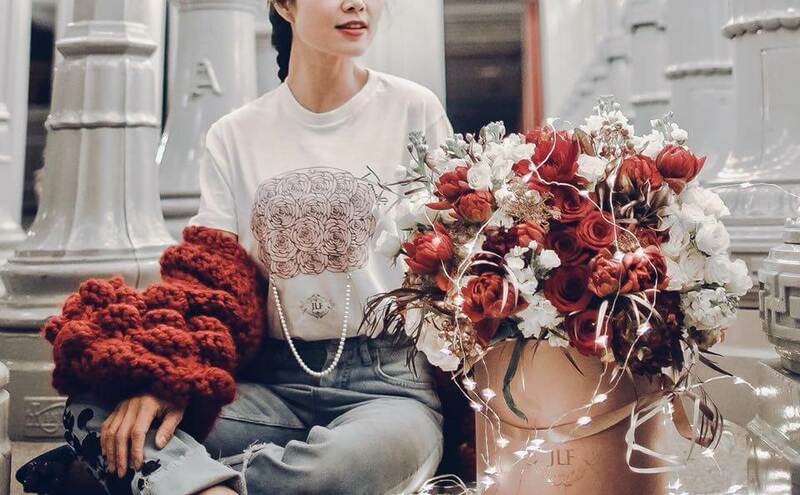 This Tovmali Tee is a nod to J’Adore Les Fleurs signature rose boxes and became the main inspiration since the flower boxes are so adored by everyone! This tee is chic and unique. The print on the flower box is digitally illustrated by Alisa [the designer] herself & the pearl beads (Swarovski) are hand sewn onto the garment with couture finishing. 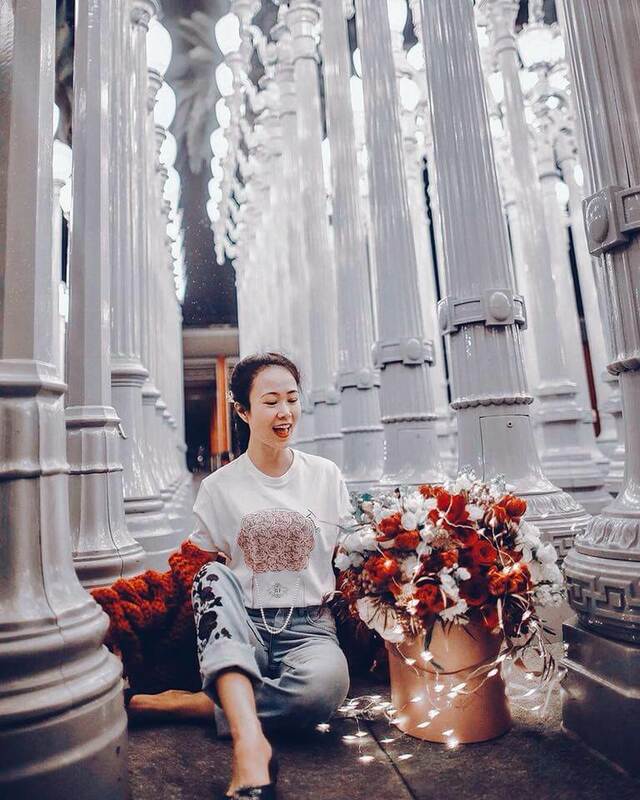 Gift your lady this tee to match with her J’Adore Les Fleur bouquet will certainly make her smile! Splurge on a romantic getaway! If you are willing to splurge on a gift, why not get away? 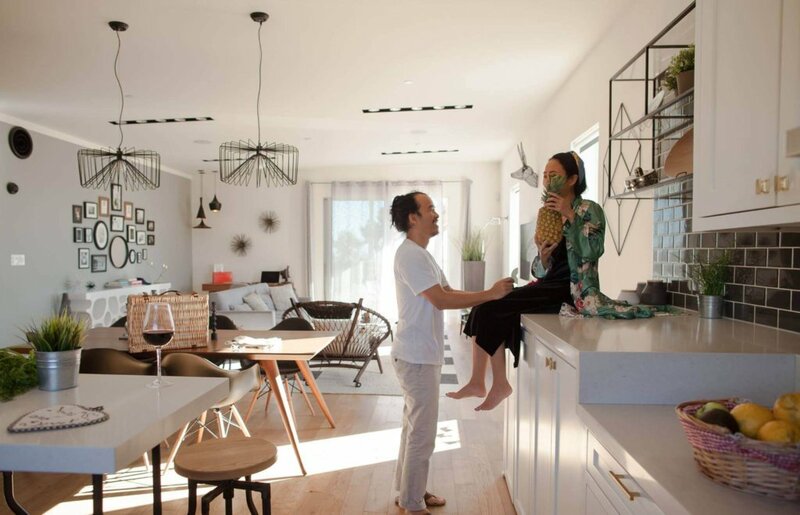 Sometimes the best way to celebrate your love is to invest in a change of space. Just two and a half hours (140 miles) east of Los Angeles on the 10, Joshua Tree is close enough for a weekend getaway! Although the area lacks hotels, it has so many lovely options on Airbnb. If you want to combine seclusion with luxury, then the Serenity Escape is the perfect place for you! 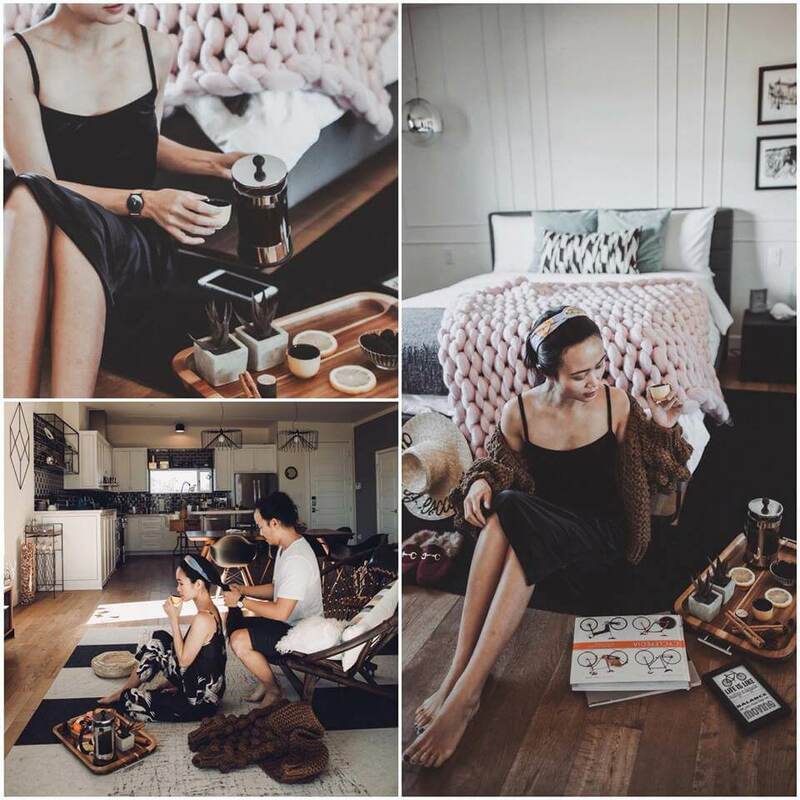 We absolutely loved our stay in this gorgeous home. 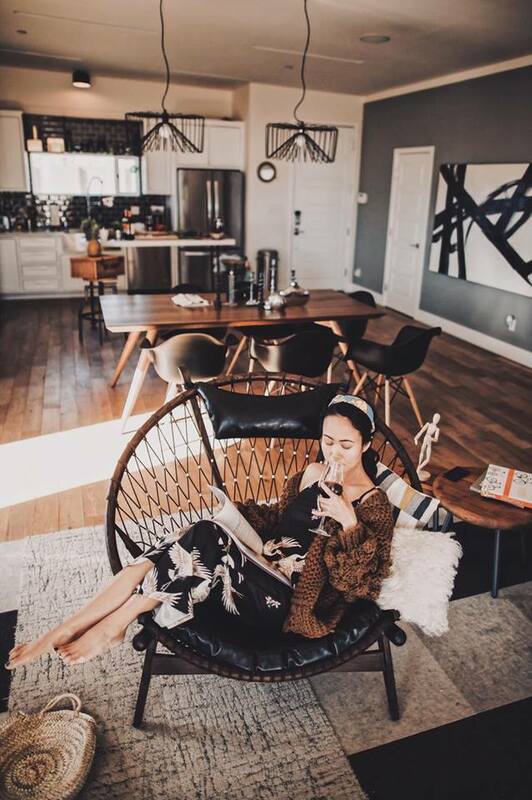 It’s a perfect cozy oasis to either venture out or stay in and feel like you’re entirely off the grid. Every morning waking up to 360 views of the Joshua Tree landscape was just magical! 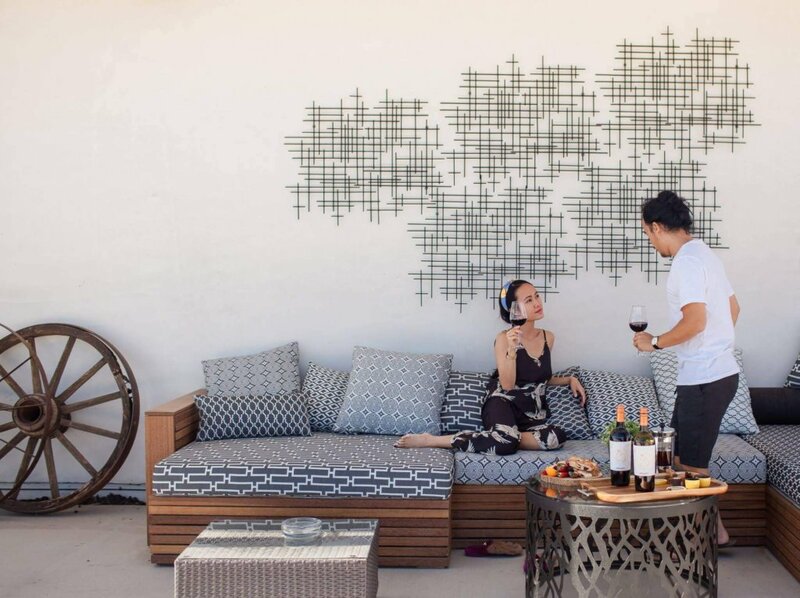 Use my exclusive discount code “May50” for $50 off your stay when you book the Serenity Escape on Airbnb. 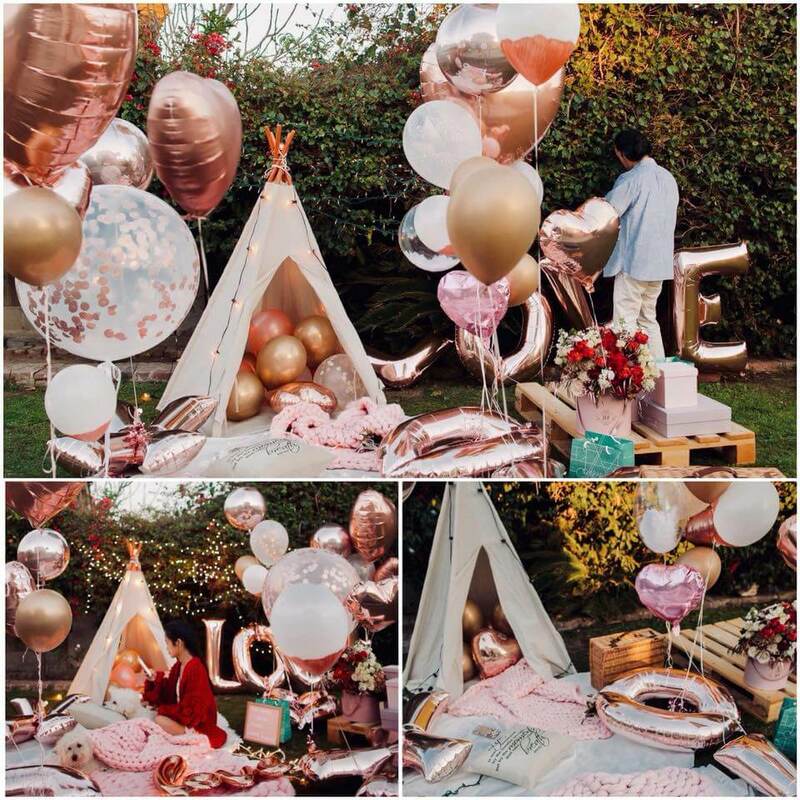 Planning an indoor/outdoor picnic, breakfast in bed, romantic candlelit dinner,…are a few ways that you can make her feel special and create some precious memories!! The most important piece of advice I can give you is to make sure you get her something SHE wants, something personal to her. It’s never really the gift itself, but the thoughts behind it.